How do I choose between i3 processors? 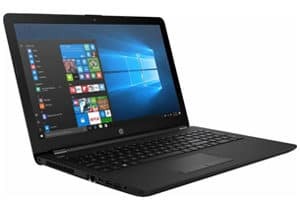 What Sort Of Specs Can I Expect From An I3 Laptop? What features do I miss out on with an i3 processor? You want a great laptop that will run your programs without lag, but you don’t want to spend money on high end tech you don’t actually need. Retail stores and digital outlets are always focused on the latest, most expensive cutting edge machines. The question is — are you really going to make use of all that hardware for a laptop you take to work or class? While the market is flooded with expensive i5 and i7 laptops, there are still plenty of i3 models that offer a solid alternative at a fraction of the price. We’ve scoured the web to find the five best i3 laptops available in 2018, and we’re ready to help you choose between them! 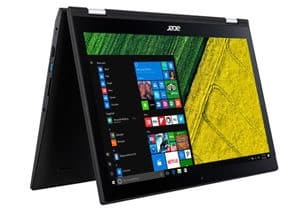 If you’ve been comparing different laptop options, you may have found the various naming schemes to be rather confusing. For instance, the core i3 models don’t actually have three processor cores. Instead, the term “i3” designates the overall series of processor, with the progression going from i3 to i5 to i7 (and now even i9). In general, the higher the number, the more speed you can expect. There are many other aspects to consider however, as some 8th generation, quad core i3 processors actually beat out i5 models. Usually, an i3 model with 8GB of RAM can handle any work, school, or home task you need. They aren’t designed for gaming however, and usually don’t feature high end graphics options. Picking an i3 laptop means going with an entry level machine with lower pricing and less power consumption. Let’s dive into what’s available and take a look at the top five contenders! 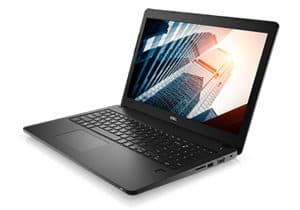 In 2018, the current reigning champ of i3 laptops is easily the Dell Latitude 15. The specs on that bad boy absolutely smoke the competition, although you will pay a very high price to get that level of hardware. Not interested in spending so much money? If you want an excellent well-rounded i3 that doesn’t break the bank, your best bet will be HP’s 2018 touch screen model. Should this be your choice? Don’t have the money to spend on an i5 or i7 model with a dedicated graphics card? If you still want to be able to run most games at low – medium settings, this should be your pick. If you are looking for a true gaming powerhouse, you need to be aware that i3 processors are meant for casual gaming, at best. You won’t typically find them with dedicated graphics cards at all. Since you can’t get a high end video card for running games at ultra settings, your choice on the rest of the specs becomes crucial. If you want to stick with a budget i3 option, you need to pay attention to the processor, RAM, and storage option. 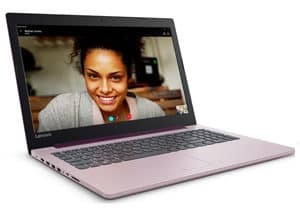 While the i3 is generally thought of as an entry-level processor, the 8th gen i3-8130U included in this Lenovo model is actually faster than many i5 CPUs. Going with a solid state drive also means faster load times with your games, and that’s a huge plus. In addition, the IdeaPad features an HDMI port if you want to hook up to an external display while gaming. While it doesn’t have any etched designs or RGB lighting, this is a striking red model, so it stands out a little more than your typical black or gray business machine. The only complaint gamers typically have with this machine involves the touchpad. Since the pad is offset to the left and quite close to the keyboard, it’s easy to accidentally brush against. If you want better control while gaming, you should consider buying an external wireless or USB mouse. 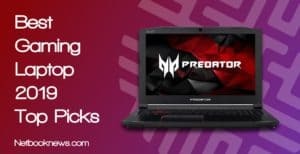 Need to find a cheap laptop that still performs well and will last a few years? 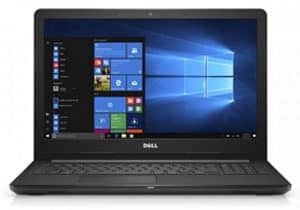 This Dell model should be at the top of your list for the best budget i3 computer! You really can’t expect to find a better machine at under $400 than this Dell model. All the basic features you’d expect from an inexpensive laptop are on display, and you get great specs as well. Most budget laptops will cut corners on the RAM, but you still get a full 8GB stick here. That means faster speeds when running multiple applications at the same time. The I3567’s motherboard can handle double that amount if you feel comfortable cracking open the case and installing a second stick. When you end up using newer, more memory-intensive programs down the line, it isn’t hard to manually upgrade to 16GB of RAM. With Bluetooth, an HDMI port, and a DVD-RW drive, you are pretty well covered for any type of input and output options. The only real drawback here is that you don’t get a solid state drive, which is becoming more of standard feature in 2018. Not everyone truly needs an SSD, but the speed difference from a traditional hard drive is noticeable. This should be your top business i3 laptop pick, particularly if you want physical storage space rather than using online backup tools. For a quality business laptop, you want an excellent cross slice of specs and features. That’s what you get with HP’s new 2018 touch screen model. While there’s no dedicated graphics card for high end video editing or CAD software, any other business application is more than covered here. 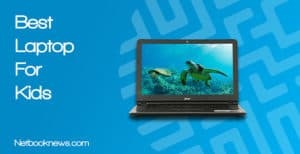 8GB of RAM and an i3 processor will easily get you through the workday, and at a surprisingly affordable price. The biggest draw here is that you get both a touch screen and a huge amount of storage space. The solid state drive ensures the boot up sequence will be lightning fast, while the secondary hard drive lets you save all the spreadsheets and documents you need. Don’t forget to take a look at the keyboard layout on any business laptop as well! Our HP contender features a comfortable keyboard layout for typing all day long. Prefer a hybrid touch display model over a regular clamshell laptop? This should be your top pick, especially if you’d like to upgrade to better specs over time! Slick hybrid laptops that can fully fold around to 360 degrees are quickly becoming the rule, rather than the exception. That being said, there aren’t a ton of options for i3 laptops with a 2-in-1 design. Out of the handful that are in production, the best is easily the Acer Spin 3. There’s one major reason why we recommend the Spin over other options — it’s upgradeable. Many hybrid 2-in-1 models are difficult or impossible to upgrade on your own. With the Acer Spin 3, you can swap out the slower HDD for a faster SSD, and pack in up to 32GB of RAM (with two 16GB sticks). For buyers on a budget, this is a huge boon, as it means you can deal with the slower speeds for awhile and then add in better hardware later when funds allow. This model also sports a higher resolution screen than many of our other contenders, so you get a great viewing experience. With a card reader and a backlit keyboard, there aren’t many downsides to this model, other than starting with 6GB of RAM and an HDD. If you don’t intend to upgrade or need different specs, there are two other hybrid machines with i3 processors worth considering. Want a unit with a fingerprint reader and a faster booting SSD right out of the box? The Lenovo Yoga 720 is a great option, although it has less RAM, so expect some lag when using multiple programs. If you want a full 8GB of RAM right out of the box, your best bet will be the HP Pavilion x360. Keep in mind that model features a 500GB HDD though, so you lose out on half the storage space and will have slower Windows boot speeds. 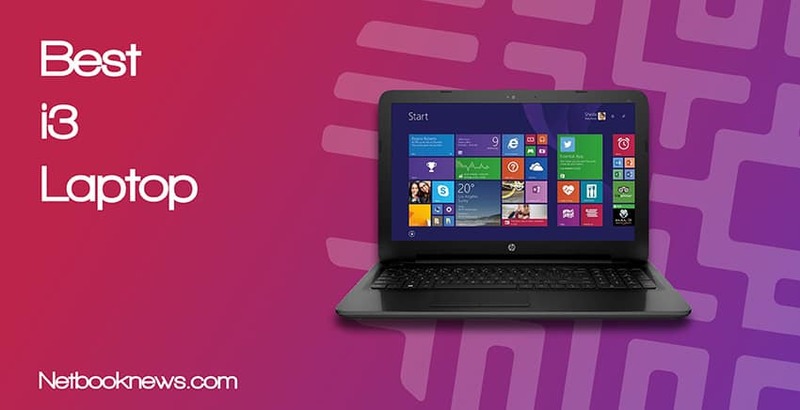 Want the best overall i3 laptop currently available on the market? If you crave high end specs but don’t want to splurge for an i5 or i7 model, this should be your choice. Most laptops featuring core i3 processors are on the budget side, with lower end specs to save money. That is most definitely not the case with Dell’s Latitude series. With 32GB of RAM, you won’t ever need to upgrade to stay ahead of the technology curve. You can expect great speeds and no lag, even when running multiple tabs or programs at once. The Latitude boasts a full 1TB of drive space, but its a solid state drive, rather than an HDD. That means much faster boot up speeds and faster loading when retrieving files. While this isn’t a gaming machine and lacks a dedicated graphics card, between the RAM and 7th gen processor you can still run most games at decent framerates. Here’s the best part — despite the extremely high end specs, you get excellent, all-day battery life on a single charge. Now for the main downside — for this price, you could buy an i7 laptop, instead. You wouldn’t be able to find an i7 laptop with a 1TB SSD and 32GB of RAM at this price point, however. Prefer to go with a touch screen and want to spend half as much money? 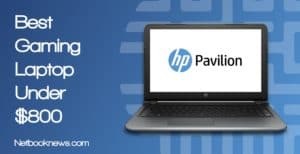 HP’s 2018 business model is another great well-rounded option, although it only sports 12GB of RAM and you lose the solid state drive. Due to changes in processor architecture, the clock speed (the GHz rating at the end of the processor’s name) really isn’t a very useful tool anymore for deciding between CPUs. Instead, you want to look at the generation — with 7th and 8th gen processors where you want to land — and at the number of cores. Most i3 processors are dual models, featuring two cores, but you can find some laptops with quad core i3s that feature four cores. Why does this matter? Each “core” essentially acts as its own CPU, meaning with four cores, your processor can work on four different tasks at once, instead of just one. After generation and core, be sure to look at the letter suffix at the end of the processor’s name. Want to know more about the differences between generations and series of processors? Check out the full break down at the Intel website here. Since they tend to be the budget options in 2018, you need to carefully consider the overall specs available in an i3 laptop. Portable computers that use the i3 technology often still include optical drives, and fewer of them are touch screens, although there are touch and hybrid models available. In terms of memory, you want to go with at least 8GB of RAM to pair with your i3 processor. If you are willing to spend a bit more, 16GB will help future proof your machine. Many i3 laptops still use the older HDD technology, which offers lots of storage space but doesn’t access data as quickly. Whenever possible, look for an SSD option instead. Finally, i3 laptops often lack certain features that will be standard in higher end models, like a full 1920 x 1080 resolution screen. There are some notable exceptions to this rule, however, like with the Acer Spin listed above. You will notice some reduction in speed on an i3, especially during processor-intensive tasks. In particular, adding effects to large image files or running macros on big spreadsheets will get some slowdowns over i5 and i7 models. Older i3 models don’t include Turbo Boost for automatic overclocking, like you find with the i5, i7, and new i9 models. This is less of an issue in 2018 however, when some 7th and 8th gen versions of i3 CPUs do in fact include Turbo Boost. The cache on an i3 model usually maxes out around 3 – 4MB. You’ll see bigger caches on newer processors, which means you get faster speeds performing repetitive tasks where the same numbers are stored over and over. 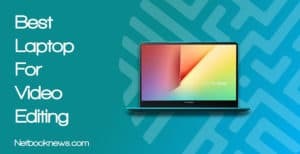 The primary reason to pick an i3 laptop in 2018 is to save money and get a budget option. You can often find models with this slower processor but with better RAM and SSD options than their i5 counterparts. 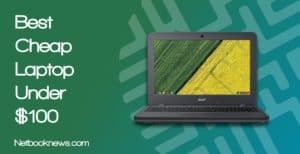 From huge hard drives to extra ports and drives, there aren’t any shortage of options to consider when picking a budget i3 laptop. With these five contenders, you should have found the perfect option to fit your needs. Which of our picks do you like the best, and have you seen any other great i3 deals we missed out on? Sound off in the comments below!